The biggest problem are the decades using chemicals in the beehive, virtually all wax on the market is contaminated.And we can’t use it. There are few places on earth today that have wax free of residues of different kinds. Chemical residues influence life in different ways. In very small amounts probably in such a small way the bees can handle it if they are strong enough in other traits. Especially difficult to handle and to have knowledge about are the synergic effects that can take place between different chemicals. The best thing we can do is to take efforts to have as clean wax as possible. It may be difficult, but the obvious method is to use but cappings wax for making new wax foundation and renew combs in bee colonies we strongly suspect are contaminated. Another source is wax from areas where miticides are not used. 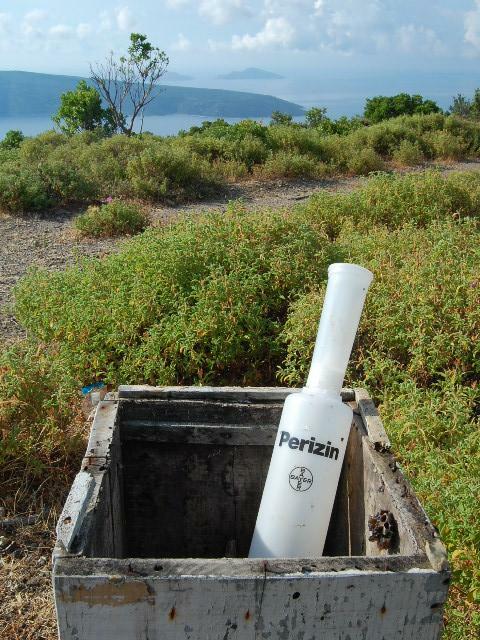 Watch though out for other types of contamination. Another problem is a fatal error that occurred in the foundations that are being sold. In order to explain I must start further back. Ed and Dee Lusby (Ed was the Dee’s husband, he sadly passed away recently, Dee sais because of too much stress – I can feel it) started to convert their 1000 colonies to the 5.05mm cell size in the 80s, after intensive study of ancient beekeeping literature. As they work with 4 to 5 boxes the whole year long, they had to change 40.000 frames. Unbelievable! For 2 people! They were so convinced of what they had found in the literature and believed the cells in use were too large for the bees. They had no mould to make the foundations, and were able to convince the owner of the company Dadant who made them a roll of steel, engraved by hand! Pure adventure. Now back to the foundations on the market. 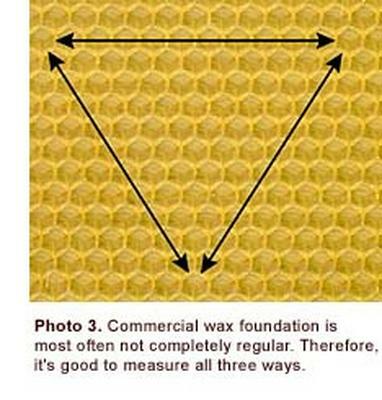 Because the foundations are made with a roller and the wax is elongated in the direction of the rotation. And the foundation moulds are also made from these foundations.So we have errors of up to three tenth or more difference in cell size throughout ALL our hives. And at 0.15 mm Dee was at the point when the diseases disappeared. It seems to me as if it was a big stress factor for the bees otherwise why they have the hexagonal cell? Because it is accurate and divides space best. Of course, one can say the bee does not build accurately, but what we impose her (and constantly), is too big of a mistake not to cause her stress. Erik from Sweden, one of us who has the most experience convincing a company in Sweden to produce 4.9 mm foundations with exact dimensions. Another advantage is that it is illegal in Sweden to use poisons in the hive and therefore the wax is virtually unspoiled. Adriano from Italy made a wax residue testing, and fluvalinate could only be detected in very low concentration. It is lower than the lower limit, which is displayed in a Hohenheim investigation. Of course it is best to use your own wax if unspoiled. I then got to hear, by a foundation manufacturer that produces cheap moulds of silicon in Germany, that I shouldn’t be more Catholic than the Pope! But it is not so simple for the bees. Then I got in touch with Benjamin Graze a few years ago, of the company Graze, and convinced him to make his 4.9 mm moulds with the 4,9mm foundations from Sweden (he always made 4,9mm moulds for Africa but with the mentioned error)Now you get moulds in the right 4.9 mm dimensions from him too and also at Alfranseder, who after my suggestion also works with the Swedish model. One of our colleagues has made very good experiences with it. Here you see how we make our foundations with do it yourself water-cooled silicon moulds. With two moulds, we make about 80 foundations per hour. The problem is the supply of wax heated in a water bath. 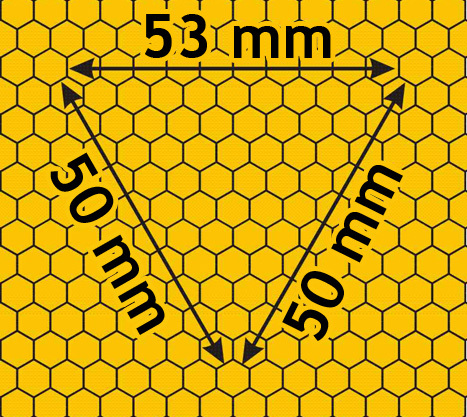 As we take the foundations out when they are still quite warm, they shrink and will measure 4.8 to 4.85 mm.This is outstanding for advanced small cell bees.So we have room and can use 4.9 or 4.8, depending on the need. ALL foundations of 4.9 mm dimensions which are sold in Germany or elsewhere in Europe (except for the company in Sweden), have the mentioned error. And be careful with „bio wax“. This is very frequently from Africa (which has a peculiar smell), and as the wax there has a higher price than the honey, wild swarms just to get burned to gain the wax. Unbelievable, and is then offered as a bio! Once we’re at it – here you can see how you can make your own silicone and cement moulds – all 4.9 mm!